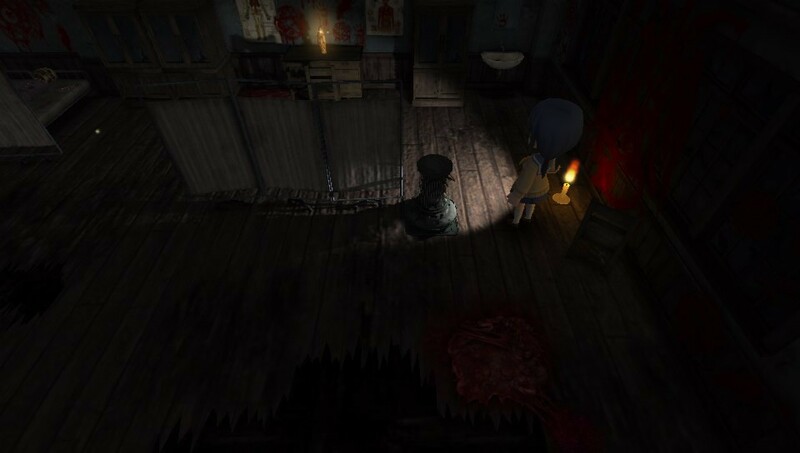 REVIEW - Corpse Party: Blood Drive - Use a Potion! 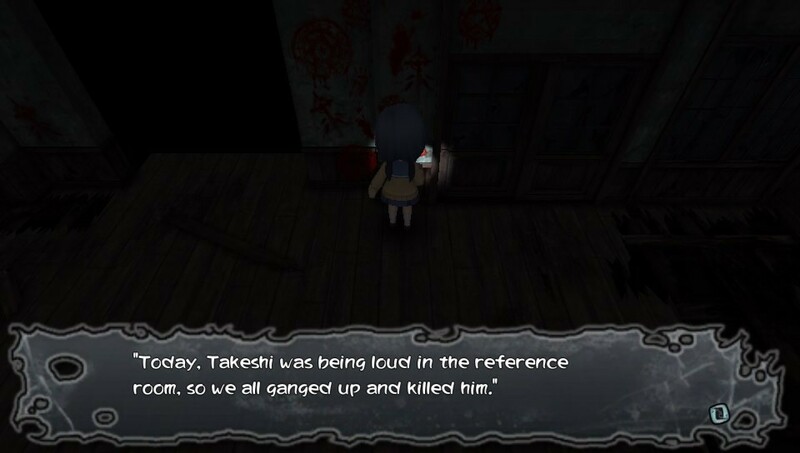 Have you played the previous entries in the Corpse Party series? If your answer is ‘no’ then I’d instantly tell you not to even consider purchasing Corpse Party: Blood Drive – if you’re going to get the most out of this title a deep understanding of the back story is essential. Unfortunately, even if you answered ‘yes’ it’s still hard to recommend buying. 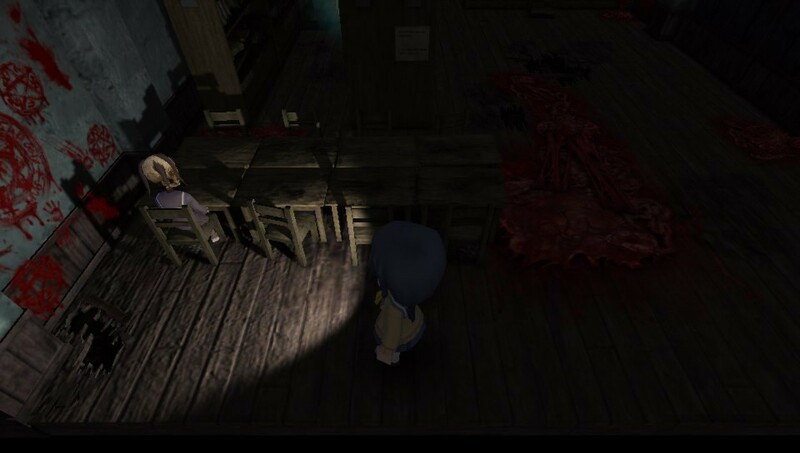 Corpse Party: Blood Drive is riddled with issues that even a die-hard fan of the series might struggle to look past. The story follows on from previous events in Corpse Party – the survivors of the Heavenly Host incident are trying to move on with their lives after the tragedy that saw them lose friends and loved ones. Ayumi is struggling the most though, the loss of her sister proving too much to bear. An opportunity arises though that would allow her to re-visit Heavenly Host Elementary and try to bring her loved ones back to life. Despite the danger involved and the reluctance of her friends, Ayumi goes ahead with her plan and returns to the perilous Heavenly Host Elementary. The story actually lives up to the expectations of the Corpse Party franchise – it’s enjoyable, gruesome and at times totally bizarre. Characters each have their own unique personalities, with a few old faces appearing along with some new introductions. You’ll be taking on the roles of multiple characters as you play through the game, allowing you to see events unfold from different perspectives. It’s neat and allows you to learn more about each character, offering further insight into each character’s personality and motives. The game does a good job of making you care for some characters whilst making it easy to hate others too – something owed to the quality of the game’s script. For the most part the script is well-written and features top quality localisation – it’s a text heavy game so it’s fortunate that it’s entertaining to read through. Admittedly, some conversations could drag on a little but the attention to detail is great. The Japanese voice-overs are a nice touch too, especially for those seeking a more authentic experience – there’s no room for English voice-overs though. The story is the game’s strongest point, though to fully appreciate it you need to have played previous entries in the series. There’s so much history and back story that heading into Corpse Party: Blood Drive clueless completely deters from the overall experience. The game tries to keep you informed with an encyclopaedia of information regarding characters and the back story; the fact you need to return to the title screen to access this though takes away from its usefulness, especially when you want to catch up on details mid-game. Of course, the story and visual novel aspects only make up half of the game – the other half being spent exploring Heavenly Host Elementary. This is where the game begins to falter. You’ll spend your time carefully avoiding traps whilst trying to evade and hide from the malicious ghostly entities that are out to get you. Put a foot wrong and you’ll watch your HP take a hit – run out of HP completely and you’ll meet your demise. Whilst survival isn’t difficult, it falls short of being fun. There are a few small puzzles to solve along the way, but these will hardly cause you any issues with each enigma holding a somewhat simple solution. There’s just not enough variety in the gameplay to keep you hooked. The lack of fun isn’t helped by incredibly long load times. Every simple action comes with loading times – cutscenes, entering a new location or even opening the game’s menu. With load times lasting up to thirty seconds, it can start to feel unbearable. Add to that a stuttering frame-rate and you’ll find that simply playing the game can be a labersome experience. The game is well presented at least, with a new transition to 3D providing more dark and eerie environments. 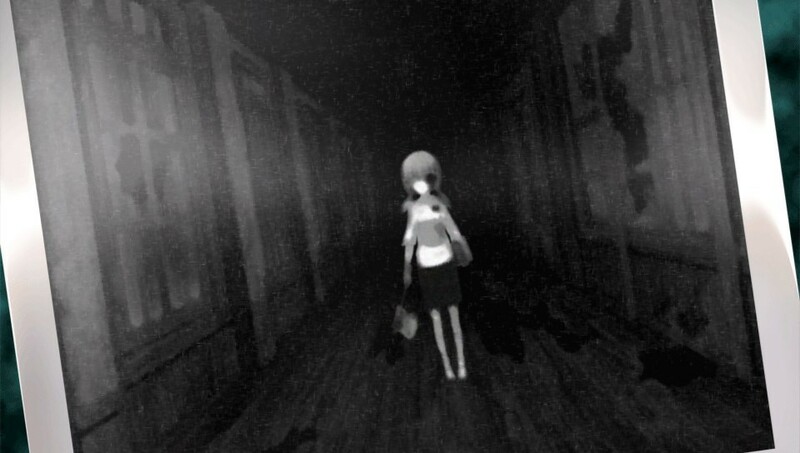 The derelict hallways of the school are filled with blood, gore and corpses – it certainly lives up to its Corpse Party name. You’re equipped with a torch to light your way, the lack of clear sight adding significantly to the horror experience. The same can be said for the illustrations within cutscenes; the artists have done a fantastic job, though it’s a trait typical of the Corpse Party series. Despite the environments you explore providing a horrific vibe, the use of chibi character models takes away any fright factor. It’s hard to take a gruesome figure seriously when it looks so adorable. It’s a real shame, especially considering the dark tones of previous entries. I couldn’t help but to feel disappointed with Corpse Party: Blood Drive. It continues the series’ tradition of a strong, gruesome story but falls flat on its face when it comes to gameplay. Exploration just feels boring and with technical issues holding it back you can’t help to feel frustrated the more you play. I enjoyed the story and it certainly offers a lot of replay value with the variety of endings on offer; just don’t expect to actually want to play the game anymore after completion. It’s a shame that the series had to end on a sour note after the quality of the previous entries.